Founded in 1937, Toyota has utilized advanced quality control processes from the beginning. Today, Toyota among the top 10 companies in the world by revenue, and is universally known for its consistently thoughtful innovation. Toyota Motor Corporation is a car manufacturer headquartered in the city of Toyota, Japan. The town formerly known as Koromo, populated by nearly half a million people, changed its name to honor its biggest employer. To find used Toyota engines near you, fill out the form above and we’ll put you in contact with reputable auto parts sellers. 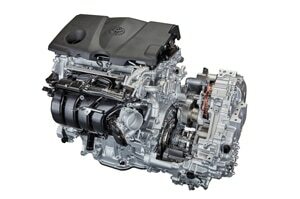 Search our network of Toyota car engines sellers at No cost or obligation to you. We will have our network of nationwide salvage yards find you the best price on your used Toyota engines. Also be sure to ask about our engine warranties and expedited shipping to a location near you. Our network of used Toyota engine suppliers is ready to compete for your business. Complete the clearly marked fields on our easy to use used engine locator too and experienced recycled motor sales reps from all over the country will contact you for free immediately. You don’t even have to answer the phone if you’d like interested bids sent to you by email or text. Search by location and find an affordable used Toyota engine in your local area now! We offer Toyota engines for sale by hundreds of experienced suppliers from coast to coast who want to give you the best deal at no obligation. Compare and save more than ever before from helpful businesses who can match the exact year, make and model Toyota motor that you need. Their own live representatives will help you with warranty information and any other requirements you may need including cleaning, pre-testing and certificates. Only our national network of suppliers (Automotive Recycling Facilities) will locate recycled engines and ship under our warranty. You will have access to used Toyota engines from more than 1 place. A popular request is a Toyota Camry engine for sale. You see the value of a used Toyota Camry engine is great because of the money save vs a rebuilt Camry engine. At ASAP Motors & Transmissions, we’ve made the big job of finding replacement Toyota engines safe and easy for everyone. Call 1-888-221-1440 and speak to one of our own live representatives for an instant price quote and advice on making the right decisions. We will walk you through the entire process and remind you about those inspection and shipping details that you might not remember. Then just fill out the forms online and wait for the emails to pour in. Our selection of used Toyota motors includes dozens of models throughout decades of manufacturing years. Count on finding used or rebuilt engines for and more in whatever condition you need. Aside from our shipping warranty and advice, suppliers offer their own extended warranties and specific advice on how to handle and install your shipped engine. It doesn’t matter if you are shopping in the Japanese Domestic Market (JDM), we will find you an engine that meets your requirements regardless of mileage and any other conditions that affect the best price. Act now, they are all competing for your business and want to offer you the best price and service today. Cars, minivans, trucks, hybrids, crossovers, SUVs, electric cars — it seems that there’s no type of vehicle that Toyota can’t master. Select your Toyota engine model below. Another major selling point of Toyota engines is their durability: With proper care and maintenance, many Toyota engines are capable of running for an astonishing number of miles. Most notable is the Toyota Tundra that famously clocked more than 1,000,000 miles with its original engine and transmission. How do I check my Toyota engine number? Unlike some other car manufacturers, Toyota doesn’t stamp its engine numbers in one specific place across all vehicles. So, if you’re trying to find your engine number, Toyota recommends referring to your owner’s manual and going to the “Specifications” section. There, you’ll find a photo revealing the relative location of your engine number. Which engine oil should I use in my Toyota engine? According to Toyota, all models produced prior in 2009 or earlier came with conventional oil. All models produced in 2010 or later, however, vary: Some may use conventional oil while others may use synthetic oil. To determine which one you should use, turn to the “Specifications” sections of your owner’s manual. If you’re using conventional oil but want to switch to synthetic oil, Toyota specifies that your new synthetic oil must have the same weight as your previous conventional oil. Finally, don’t forget to change your oil every 5,000 miles or six months, depending on which comes first. This will go a long way toward extending the lifespan of your engine. Which Toyota engine is the best? Since this is a subjective question, the answer will vary based on what you’re looking for. Are you seeking fuel economy, towing capacity or acceleration? However, there are a few Toyota engines which are particularly celebrated. For example, Car and Driver named 4AGE inline-four (I4) as one of the best naturally aspirated engines of all time, thanks to its potent combination of torque and efficiency. Which Toyota engine is most reliable? Toyota Camry: Features a variety of engine options, including four-cylinder, V6 and hybrid engines. Toyota Yaris: Yaris models are available with several four-cylinder engine options. Toyota Sequoia: The new Sequoia only has one engine available, but it packs a punch: The 5.7-liter V8 engine boasts 381 horsepower. Toyota Tundra: Owners of new Toyota Tundras can choose between two powerful V8 engines, featuring 381 and 310 horsepower respectively. Here are three of the most popular used Toyota engines. Although the Matrix was discontinued in the U.S. in 2013, it still remains a popular car for many drivers. This compact hatchback received positive reviews from many publications, and boasted impressive reliability and safety, especially for its class. All Matrix cars have attracted customers with their excellent mileage: For example, the 2004 model achieved a whopping 36 miles per gallon. For the most recent 2013 model, drivers could choose between engines offering either 132 or 158 horsepower, with older models offering similar power. Whether we’re talking about the Tacoma or the Tundra, Toyota manufactures powerful truck engines beloved by many. Both the Tundra and the Tacoma been named as Motor Trend’s Truck of the Year multiple times, and both models feature engines with outstanding towing capacity. The 2019 Toyota Tundra boasts 310 to 381 horsepower, while the 2019 Toyota Tacoma offers 159 to 278 horsepower. First introduced as a compact car in the 1980s, the Camry is now a mid-size car with a solid reputation for reliability and versatility. Recent Toyota Camry models can be equipped with either inline-four (I4) or V6 engines, while older models used a variety of engine types. Insurance Institute for Highway Safety (IIHS) Top Safety Pick when equipped with LED headlights. Five-star safety rating from the National Highway Traffic Safety Administration (NHTSA). Best Resale Value Award from Kelley Blue Book. Winner of U.S. News & World Report’s Best Midsize Car for the Money, Best Midsize Car for Families and Best New Cars for Teens, as well as a No. 1 ranking in the midsize car category. Notes: Do these engines come with the ECU? Notes: Looking for a used or rebuilt engine.